Louise trained in all aspects of dance and theatre arts in her hometown of Leeds, with Jen Pearce and John Auty. By the age of 9 she had made both her TV and West End débuts, despite coming from a very un-theatrical background! She was asked to choreograph her first show at the age of 18,“right out of the blue”, at the Theatre Royal, York, and immediately said yes despite her mother’s reservations! To her amazement, she was asked to return to direct the next show before she had even finished the first. It was about this stage that she decided to “retire” from performing. Since then she has directed / choreographed nearly every type of show you could imagine! From musicals and pantomimes, to youth projects and summer schools, bridal and fashion shows, to work shops and videos. Shows which take six months to rehearse and shows that take twenty-four hours! As a dance teacher she specialises in Jazz and Tap and has worked throughout the country teaching all ages. She also taught for a short time in Australia and has taken part in a series of Master classes in Alabama, U.S.A.
She completed a Postgraduate Diploma in Contemporary Dance Studies at the Laban Centre, London, under the guidance of Dr. North, one of Laban’s assistants. This renewed her love of contemporary dance and fuelled her ambition to start a new dance company. Six months later this dream was realised when “Damuus Dance Company” made their debut at the Powerhouse Theatre, Wakefield. Based in Yorkshire, Jim works as a freelance musician performing, composing and arranging music. As a musical director he has been involved in many shows – particular favourites including Chicago, West Side Story, La Cage aux Folles (with Danny La Rue) and Joseph(rehearsed in just 24 hours!). Recent shows include the Ragtime at Leeds Grand and Buddy at Leeds City Varieties. Compositions include a large-scale project called Love Me Tender which celebrated the millennium in Doncaster, and Jim and a joint composer were short listed for the prestigious "Vivienne Ellis" award for their modern adaptation of Alice Through the Looking Glass. Other works include television adverts for two well known breakfast cereals! Jim recently arranged and performed music for BBC radio 4. 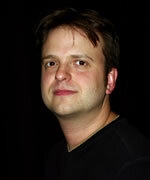 Jim works as a singing coach and is Musical Director for Stage 84 – The Yorkshire School for performing Arts. He is actively involved in community arts and delivers workshops to a variety of young people writing and recording music. He also works on a regular basis for organisations such as Huddersfield Contemporary Music festival, Doncaster Arts and Corridor Arts.